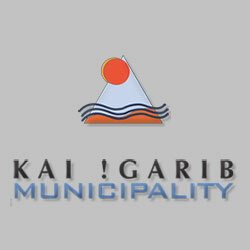 The Kai !Garib municipality wish to welcome you to our beautiful area. Kai !Garib is situated in the midst of a landscape characterized by contrast between semi-desert with plains and wavy hills along the Orange River. Not only is the Orange River the live vain of this municipality, but also boasts with one of the most beautiful waterfalls namely the Augrabies Falls. Devided into three smaller towns this municipality must function across distances. These wide open spaces truly captivates one with its peacefull existence. The rich cultures of Kai !Garib municipality include the so called ‘coloureds’ who descent from the original Khoi-khoi and Korannas, the Namas situated in Riemvasmaak and surrounding areas, the Xhosas especially from Vredesvallei, as well as the White Afrikaner mainly concentrated in the three towns and on commercial farms. All these cultures have adapted to the natural environment and formed traditions significant to them in the fight to survival through the years. These include language, dances, food, oral traditions etc.